Maple Holistics is a cruelty-free, all-natural company that sells personal care products such as the Tea Tree Shampoo, a special anti-dandruff formula of over ninety-eight all-natural compounds. To learn more about the Tea Tree Shampoo, then read this article. I’m going to talk about is the Tea Tree Shampoo that was sent to me, which clears away dead skin and soothes scalp blemishes. It normally costs $25.00 USD for an eight-ounce bottle but is currently on sale for $8.95 USD. The Tea Tree Shampoo is a special formula of over ninety-eight all-natural compounds that promote scalp health. Some included ingredients are rosemary to stimulate cellular regeneration, lavender for its healing properties to aid scalp acne, and of course, tea tree that removes dead skin and combats dandruff. 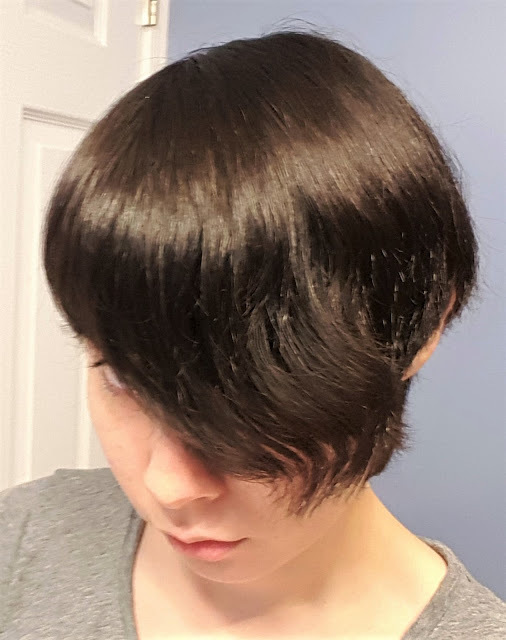 I’m not the biggest haircare buff as my hair is very low-maintenance, but what little I do with it is probably bad for my scalp. Typically, I wash my hair daily with a cheap, generic shampoo from Walmart because it’s thick and gets greasy quick (which irritates my face causing breakouts). So when I switched to the Tea Tree Shampoo, I saw a big difference in my hair. Hair after using Tea Tree Shampoo then air-dried and brushed. 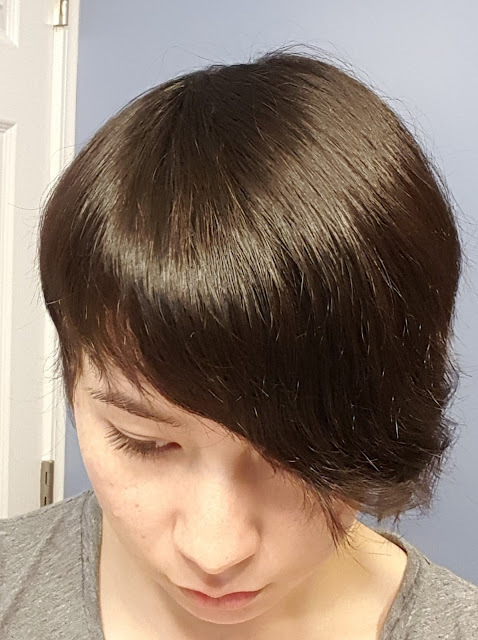 While I don't think the pictures really captured how the good the results are because my hair always has that messy look, but the first thing I noticed was that it left my hair feeling smooth and shiny. It's usually dull-looking and very coarse-feeling. Also, I don’t necessarily suffer from dandruff, but I do have an irritated scalp that my hairstylist points out whenever I go in. Not only was there less burning after I started using the Tea Tree Shampoo, she noticed that it looked better when I recently went in for a haircut (after taking the pictures located above). Plus, I was able to go longer than a day without washing it - still looked good after two days! 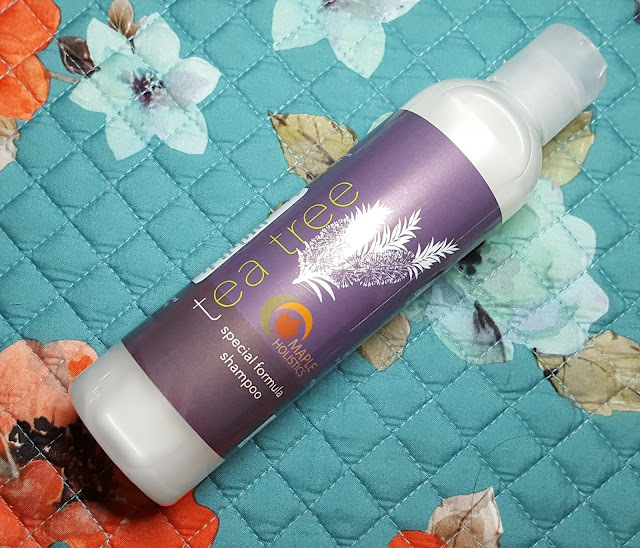 If you’re interested in purchasing the Tea Tree Shampoo or checking out their other products, you can head over to the Maple Holistics website. You can also sign up for their free sample program on the Free Products page.